Mr. Adnan Asdar is a co-founder of Multinet Pakistan (Pvt.) Ltd. He is currently involved with Karachi Relief Trust as a Trustee. Mr. Asdar also serves on the board of The Hunar Foundation and Progressive Education Network and is a General Body Member of The Indus Hospital. One of TCF’s Co-Founders, Mr. Ahsan M. Saleem has also served as Chairman of TCF from 1998 till 2006. He is Chief Executive Officer of Crescent Steel & Allied Products Limited. He is also presently serving on the board of several listed companies. 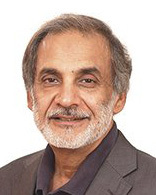 One of TCF’s Co-Founders, Mr. Ateed Riaz currently serves as the Chairman of the Board. He also served as Chief Executive Officer of TCF (in honorary capacity) from July 2002 till March 2005. Mr. Ateed Riaz has been looking after the operations of the Imrooz Association of Companies which include, First Imrooz Modaraba, Tarseel Private Limited and Atherton Imrooz Company. Mrs. Afzal has been associated with TCF as a volunteer since its inception. She has served as a Treasurer and Vice-Chairperson of the Supporters of TCF (STCF), a passionate group of volunteers spearheading fundraising efforts for the organization. She has played a pivotal role in the growth and success of the group over the past 20 years. Mrs. Afzal holds a degree in International Relations from the Polytechnic of North London. Lt. Gen. Sabeeh has been a Director of TCF since 1996. 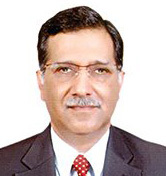 He has also served as Chief Executive Officer of TCF from 1995 till 2001. As CEO, he received a UN Award for “his and his organization’s outstanding work in support of primary education for boys and girls in under-privileged areas”. He was also awarded Hilal-e-Imtiaz and Sitara-e-Bisalat for distinguished service in the Pakistan Army. He is Chairman & CEO of Quality Schools Foundation. Inducted as a Director of TCF in April 2013, Mr. Musadaq Zulqarnain is the CEO of Interloop Limited including its subsidiaries in USA, Bangladesh and the Netherlands. Mr. Zulqarnain was the CEO of FIEDMC, formed to develop Industrial parks and infrastructure. He also presides over Interloop Welfare Trust which is engaged in numerous philanthropic activities in the country. One of TCF’s Co-Founders, Mr. Chhapra has played a key role in nurturing a number of prominent nonprofit organizations. He serves on the boards of Patients’ Aid Foundation and The Kidney Centre as well. One of TCF’s Co-Founders and first Chairman of the Board of Directors of TCF, Mr. Rashid Abdulla is a leading businessman and a philanthropist at heart. He serves as Director on the boards of several companies associated with the IBL Group including The Searle Company Limited, International Brands Limited and IBL HealthCare Limited. Ms. Khawaja, a practicing lawyer, has 16 years of professional experience as a legal consultant and Advocate of High Court. She has been a dedicated TCF volunteer since 1998 and also serves as a member of TCF’s Regional Advisory Board (RAB) based in Punjab. Ms. Khawaja holds LLB from Punjab University and LLM from King’s College London. Mr. Shahab Haider has been associated with TCF for over 17 years. He served as the CEO of the UAE Chapter from April 2014 to May 2016. He is the Managing Partner of the Sajjad Haider Group of Professional Firms in Dubai and a Fellow of the Institute of Chartered Accountants in England and Wales. He also holds a BSc in Mechanical Engineering from King’s College, London. He is a member of the EMEA Board of NEXIA International, the 10th largest worldwide network of independent accounting and consulting firms, of which Sajjad Haider & Co is a member. Mr. Shahid Abdullah is the principal architect and CEO of Arshad Shahid Abdulla (Pvt) Ltd. He has been involved with a number of social projects in Pakistan and is amongst the founders of Indus Valley School of Art and Architecture, The Hunar Foundation and The Kidney Center. Syed Asaad Ayub Ahmad is the President and Chief Executive Officer of TCF. He has been part of the TCF family since January 2009. He has been an ardent supporter of education for the last two decades. Prior to joining TCF, he was working as Sales Director for Castrol in Pakistan and served in senior positions on behalf of British Petroleum, Exxon Mobile and Shell. He holds an MBA degree from the University of Texas at Austin and a Bachelors degree in Civil Engineering from N.E.D University of Engineering and Technology, Karachi. Tariq Hussain has 25 years of experience in the financial services sector, with a specialization in mergers and acquisitions. He is currently head of European M&A for a major international investment bank. Tariq has been involved with TCF’s work since 2000, when he helped set up the UK registered affiliate of TCF as a registered charity. He is a Chartered Accountant (Scotland) and holds an MBA from IMD, Lausanne.